The dog days of summer are still in full swing! It’s muggy and almost always unbearably hot. For anyone adventurous enough to leave their home, those two factors can be daunting enough. But summer, as it turns out, is also a key time for another phenomenon: air pollution, specifically ozone. 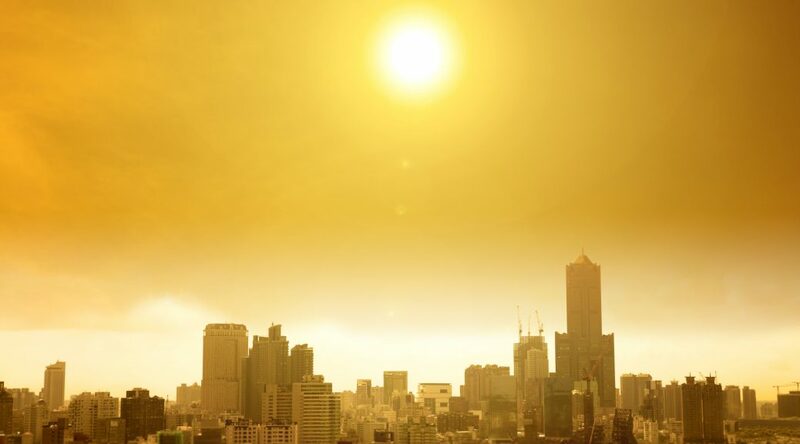 Ozone becomes particularly problematic in hotter months because the atmospheric reactions that produce ozone are actually accelerated by the warm temperatures, with the highest daily concentrations generally occurring between mid and later afternoon. GreenFacts.org defines ozone (O3) as a gas that can form and react under the action of light, and is present in two layers of the atmosphere. High up in the atmosphere, ozone forms a layer that shields the Earth from ultraviolet rays – this is considered “good” ozone. However, ground level ozone — where humans are susceptible — is formed from other pollutants and can react with other substances, in both cases under the action of light. It also forms when emissions by cars, power plants, refineries, chemical plants and other sources react chemically with sunlight. Under these circumstances, ozone is considered a major air pollutant. What proactive steps can you take to minimize your exposure and symptoms of ozone during the Summer?